For over 36 years Gary Kollin has fought to protect the rights of all people in the criminal courts, appellate courts, and in police misconduct, false arrest and civil and constitutional rights cases. Gary Kollin cut his teeth working as a state prosecutor, public defender and chief of a state agency investigating Medicaid fraud. Gary Kollin prosecuted 1,000s of felony cases while serving as a division chief in the State Attorney’s Office. As a public defender he represented a multitude of clients charged with felonies as well as juveniles charged with all levels of crimes. After trying hundreds of cases as a prosecutor and public defender, Gary Kollin became a chief of the Auditor General’s Medicaid Fraud Unit. He headed a unit which investigated doctors, pharmacists, nursing homes and other health care providers for cheating the public by stealing funds for the poor and disabled. In 1987, Gary Kollin entered private practice. 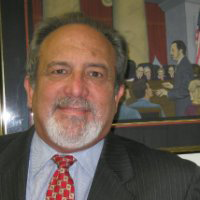 He took the years of experience in governmental practice and uses them to provide preeminent legal services.